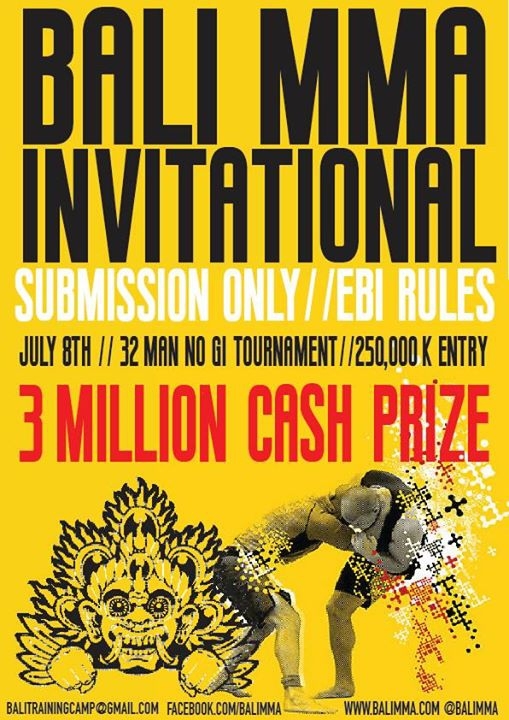 The Bali MMA Invitation is coming to you on the 8th of July. Competition starts at 11 but please be there at 10. If for some reason you can't make the payment online, just pop into the gym and pay at the front desk. There's a 3 million cash prize up for grabs!